When Texas native Jay Decker came to Discovery Day, we knew he was a no-nonsense, git ‘er done kind of guy, commented Adam Blake, VP of franchise development for Filta Environmental Kitchen Solutions (Filta). Filta, the home-based, multi-service, multi-van franchise system, offers entrepreneurs a predictable revenue stream model built on weekly repeat business within exclusive territories. With minimal overhead, marginal equipment investment and a customer base that is easily scalable, Filta franchisees are well positioned for success. Decker opened the franchise in late 2018 and immediately began servicing North Central restaurants in Burleson, Granbury and Weatherford including Baker’s Ribs, The Hickory Tree and The Malt Shop. Mineral Wells, Cleburne and Decatur are also high on his immediate radar. 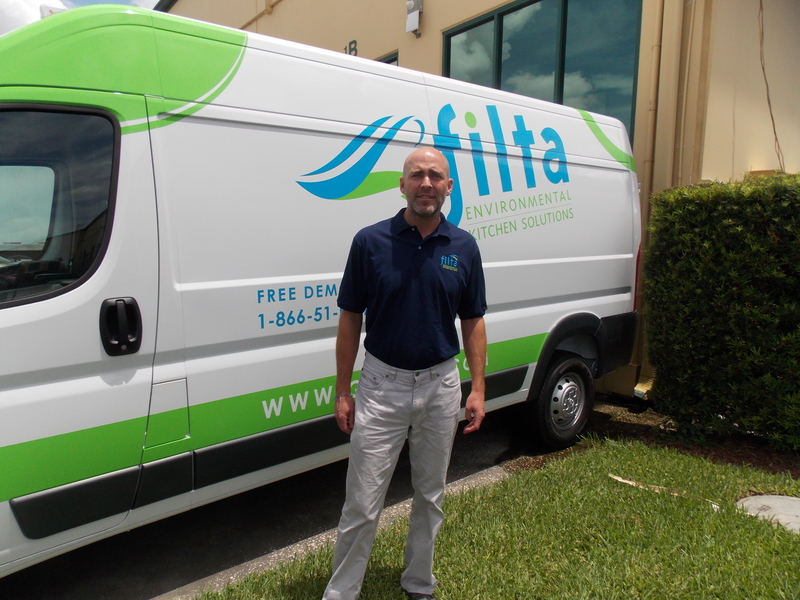 With nearly 150 U.S.-based franchises, Filta is the groundbreaking founder of the active fryer management industry, which makes commercial kitchens safer, more efficient, and environmentally sustainable by micro-filtering existing cooking oil, providing bin-free waste oil collection, deep cleaning fryers, and recycling waste oil for bio-diesel fuel. In addition to working with nearly 7,000 commercial restaurant kitchens around the country every week, Filta also services institutional kitchens inside casinos, universities, hospitals, groceries, business facilities, and professional and collegiate sports stadiums including 23 of the National Football League’s (NFL’s) 32 venues. Since its inception in 1996, Filta has positioned itself as the pioneering leader of the active fryer management industry. Most recently, the brand expanded its kitchen services into humidity control for cold storage and grease-free drain foams making it a recognized and turnkey environmental leader across the restaurant and hospitality industry. Through its network of thousands of commercial and restaurant kitchens that it services every week, Filta has recycled nearly 1 billion pounds of used cooking oil into bio-diesel, significantly reducing the impact of fryer oil on the environment. For every gallon of bio-diesel put into use, Filta prevents 16 pounds of carbon dioxide from entering the atmosphere. With franchisees across 44 states, Filta is still seeking single and multi-unit operators to join its growing successful franchise network in select new and existing territories across the U.S. Current markets open for expansion across Central Texas and the I-20 corridor include Abilene, Midland and Odessa, among others. Filta franchisees can expect their initial investment to range from approximately $103,100 – $116,700 including a $39,950 territory fee. For more information about Filta’s local services or to book a free site evaluation across, please call 866-51-FILTA or visit filta.ca/franchise.